It was a beautiful location overlooking a little creek with wallabies everywhere. Some sheep came running to greet me when we arrived which was lovely. The cabin was modern & well equipped & the bed was super comfortable. Peaceful location yet only minutes to the town centre by car. Everything you could possibly need was provided. Heat pump had warmed the accommodation for our arrival, although autumn sun shone through the windows in the morning with a cheery warmth. Excellent wifi. On site laundry. Loved our stay. Everything! We could not fault this property, lovely spacious, self-contained chalets. Free WiFi and BBQ facilities onsite as well. Penguin is a cute little town and a nice place to stop over for a night. 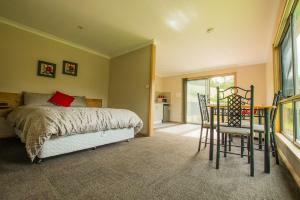 A lovely, clean accommodation set away from the main town but only a short drive away if you want to go out for a meal. We liked everything about Sunny Gum. The owners are very friendly and helpful. Location is excellent as it is very close to where we wanted to be. EVERYTHING. We can't fault this place. We wished we could have stayed longer. Loved the cabin, bbq area and made good use of the outdoor hammocks. Our 18 month old loved the sheep and ducks too. Absolute value for money. The cabin was brilliant for 2 people. We had good cooking facilities and there were a few bar be ques on site too, which we did not use. The setting is tranquil with friendly ducks that always came to check us out when we went near them. The view from the cabin is lovely and you feel like you are miles from nowhere. It is a good base to explore the area. We loved the setting in a paddock looking over some bush. 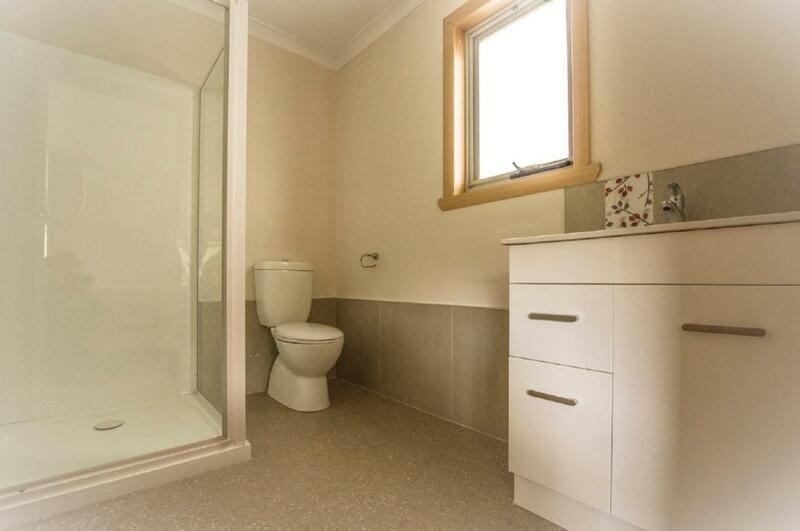 The unit was comfortable and very clean. And Steve tracked down a couple of items we left behind. The setting is great, surrounded by trees and a lovely creek at the end of the property. 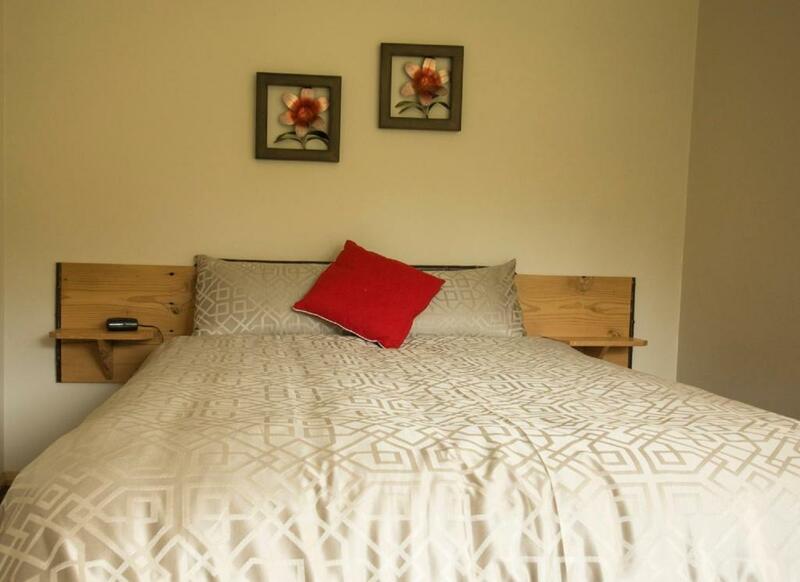 Everything is there to make it a comfortable and private stay. Bed was very comfortable, very clean place with an amazing view. Hosts were very welcoming with making sure we had what we need. Only a short distance to town. Lock in a great price for Sunny Gum – rated 9.6 by recent guests! 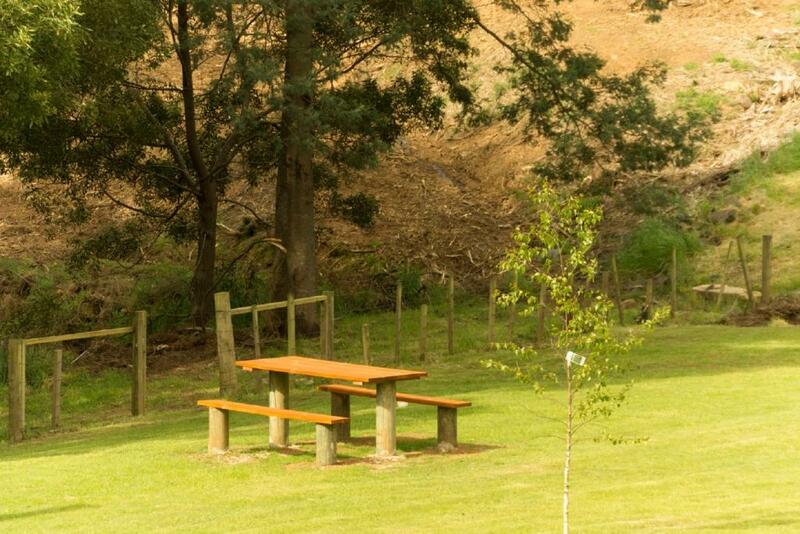 Providing a garden and free WiFi, Sunny Gum provides accommodations in Penguin. 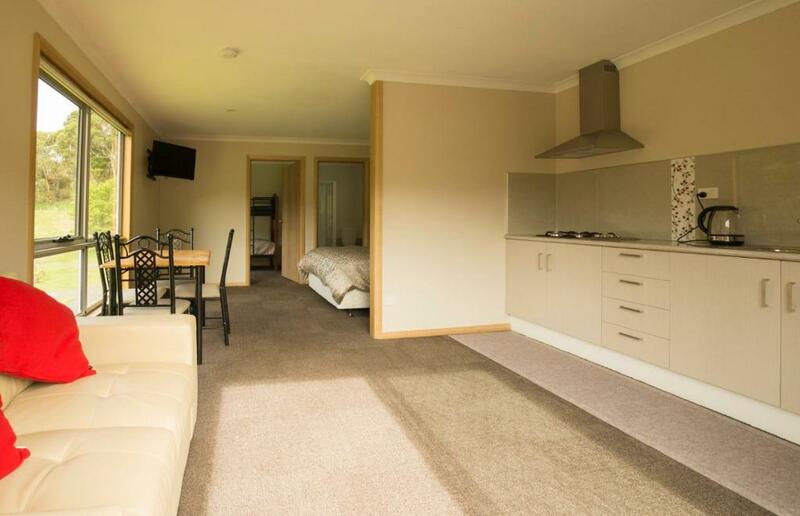 All units are air-conditioned and some of them feature a seating area with a flat-screen TV, and a fully equipped kitchenette with a dining area. Some units have a balcony and/or patio. Devonport is 21 miles from the chalet, while Burnie is 12 miles from the property. 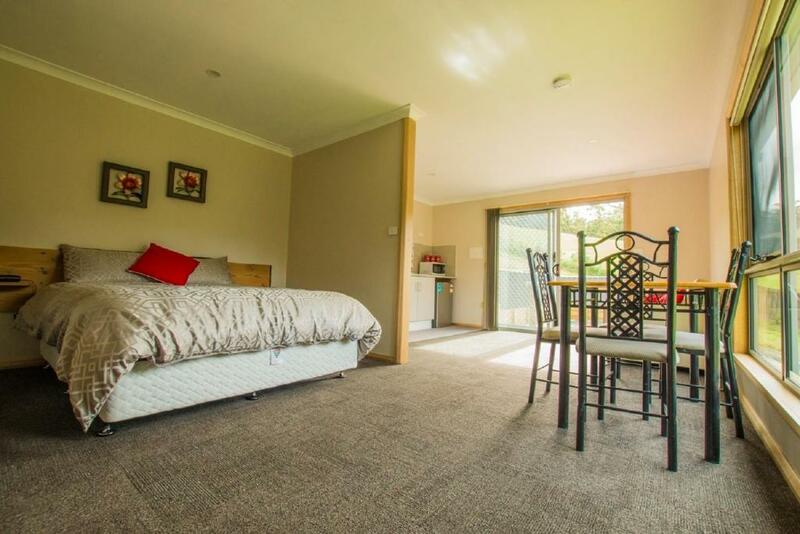 The nearest airport is Burnie Wynyard Airport, 23 miles from the property. When would you like to stay at Sunny Gum? This chalet has a balcony, tile/marble floor and seating area. 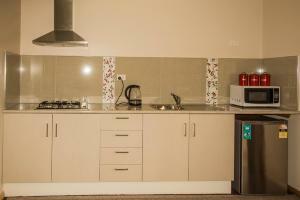 This chalet has a kitchenware, DVD player and air conditioning. 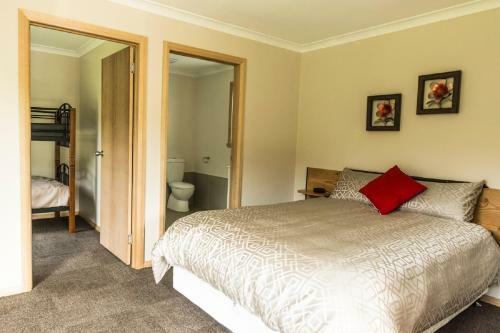 This chalet features air conditioning. 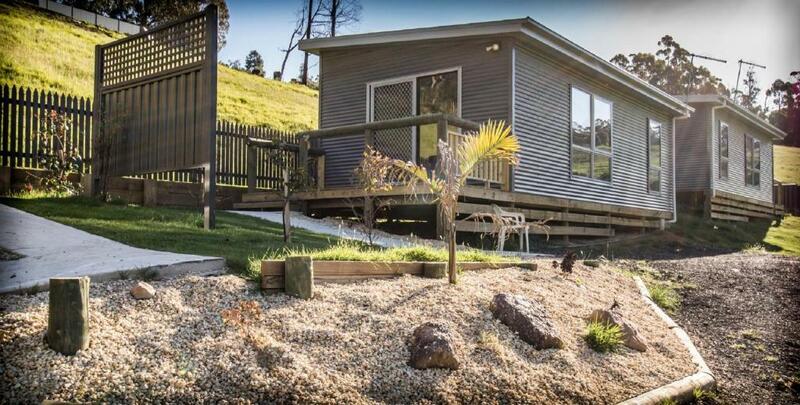 Welcome to our three acre property with a country feel, just a 3 minute drive or a 20 minute walk to the lovely seaside town of Penguin, Tasmania. We have three new modern stand alone cabins. Our surroundings feature a pretty, tree lined stream bordering our property which is a haven for native bird life and animals. You may even spot the 'Wedge Tailed Eagle' which on the odd occasion comes around in the day time to check out our chickens and friendly ducks. Enjoy your meal in our undercover bbq area or the ultimate relaxing experience in one of our colourful hammocks! Our lovely spacious cabins are semi self contained featuring modern decor with a gas hot plates and continuous gas hot water, a range hood, microwave oven, fridge plus all the kitchen equipment you should need. They also have a plush queen size bed divided from the kitchen area and a separate bedroom for two children. Relax on your private deck. House Rules Sunny Gum takes special requests – add in the next step! Sunny Gum accepts these cards and reserves the right to temporarily hold an amount prior to arrival. Clean, surrounded by nature, modern, comfortable. Traffic noise. Even though you can't see the highway from the place, the noise is noticeable when the TV is turned off. However the ambience of the place makes up for it, so relaxing. Nothing. It was perfect in every way. I could understand that the cabin may feel a bit crowded for more than 2 people. We did not have much luggage and fortunately could store what we had in the bedroom. Being two couples it was a bit tricky having the double bed in the lounge next to the bathroom.